Making its return from Pokémon Ruby & Sapphire, there is a mechanic involving Soot. 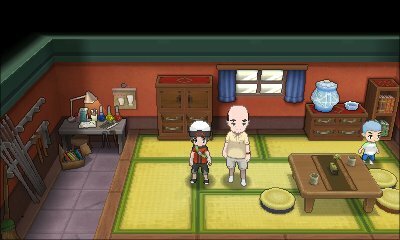 Once you receive the Soot Sack in Route 113, you will be able to start collecting soot from the volcanic eruptions in Mt. Chimney that have landed in Route 113. Unlike the previous game where you would collect soot by simply going through the grass, this time the collection of soot is done through one simple thing. 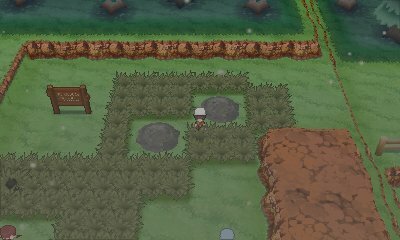 Dotted around Route 113, there are seven piles of soot that will spawn every time you exit a building. To collect soot, you need to simply walk through the big pile of soot and you will collect it. However, there are a few things that can alter the amount of soot you collect. When Soot has been collected, you now have the ability to speak to the man in the Glass Workshop and get him to create special items for you. These items cost you the soot, but can only be obtained from this area.